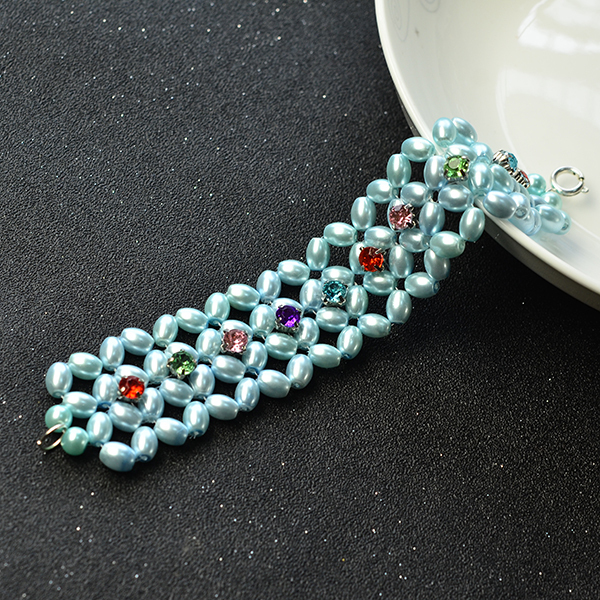 Summary: This tutorial is about making a wide beaded bracelet with blue pearl beads and colorful rhinestone beads, if you like pearl jewelry, don’t miss this one! 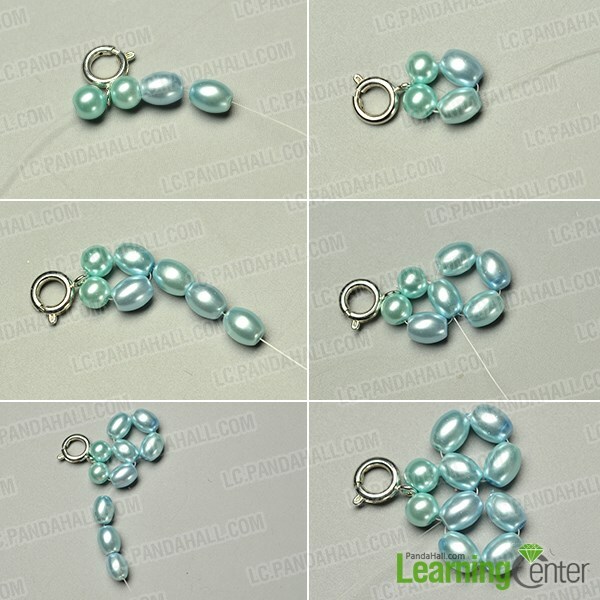 This pearl bead bracelet looks very delicate, but the procedure to make it is not so difficult as you think. 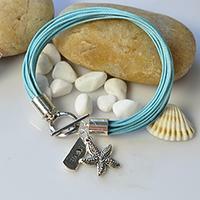 If you are interest, follow me to check out the details! 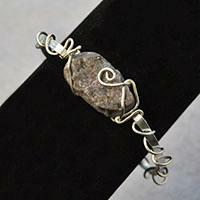 5th, thread the wire through the lower oval pearl bead again to make a bead loop. 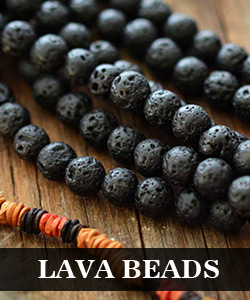 4th, repeat this procedure several times to make more bead loops in the same way. 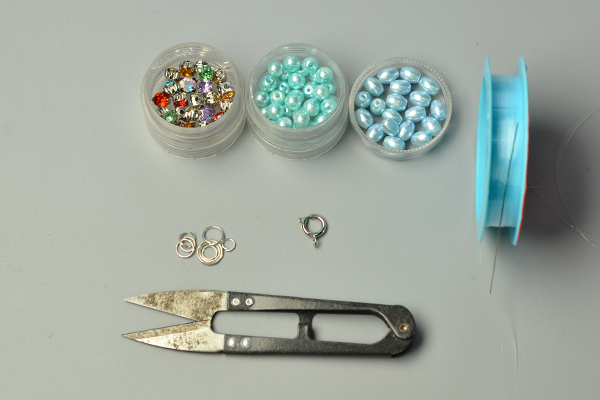 3rd, put the rhinestone beads to the center of each pearl bead loop, once finished, tie a knot and cut off extra wire. As I’ve mentioned before, it’s not difficult at all! Do you agree with me? 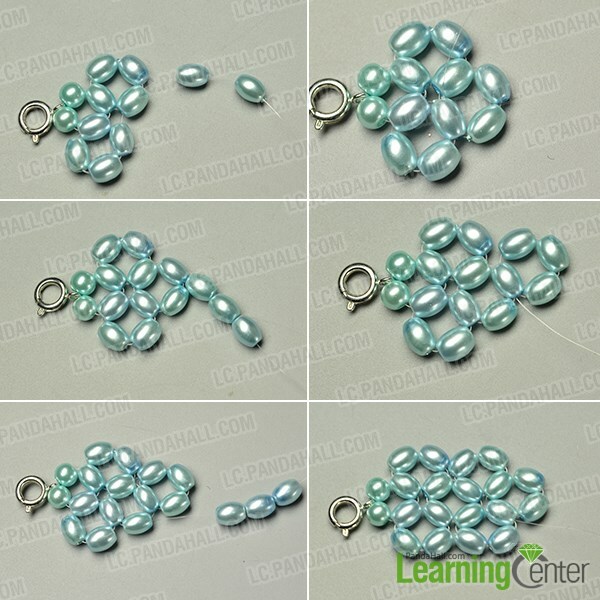 All the pearl bead patterns are the same, you just need to know how to make one pattern, then repeat it to make more patterns in the same way. If you like it, give it a try!